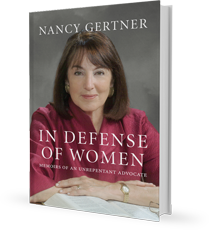 "One of “The Most Influential Lawyers of the Past 25 Years”"
Nancy Gertner is a former U.S. federal judge who built her career around standing up for women’s rights, civil liberties and justice for all. Gertner was appointed to the federal bench of the U.S. District Court of Massachusetts by President Bill Clinton in 1994. She retired from the bench in 2011 to teach at Harvard Law School. Named one of “The Most Influential Lawyers of the Past 25 Years” by Massachusetts Lawyers Weekly, Gertner has written and spoken throughout the U.S., Europe and Asia. She has published widely on sentencing, discrimination, and forensic evidence; women’s rights; and the jury system. Her autobiography, “In Defense of Women: Memoirs of an Unrepentant Advocate,” was published in 2011. She is a graduate of Barnard College, Columbia University, and holds a M.A in Political Science and J.D. from Yale University. She has received numerous awards, including the Margaret Brent Award from the ABA commission on the status of Women, Massachusetts Bar Association’s Hennessey Award for judicial excellence in 2011; the Morton A. Brody Distinguished Judicial Service Award from Colby College in 2010; the National Association of Women Lawyers’ highest honor, the Arabella Babb Mansfield Award, in 2011,The Women's Bar Association's highest award, The Lelia Robinson Award, in 2012, and, in 2008, the Thurgood Marshall Award from the American Bar Association, Section of Individual Rights and Responsibilities, which recognized her contributions to advancing human rights and civil liberties. The Marshall award has been given to one other woman, Justice Ruth Ginsburg. In November 2014, she gave the Pope and John lecture at Northwestern University. In October 2014, she was a resident scholar at the Rockefeller Foundation in Bellagio, Italy; In September she gave the keynote address at the 18th Anniversary Celebration of the Jewish Women’s archive (September 14, 2014). Gertner is presently working on her second book, Incomplete Sentences, concerning the men who she sentenced over her 17 year career as a federal judge. In addition to writing about them, highlighting the unfairness and disproportionality of their sentences, she is assisting in clemency petitions where appropriate. 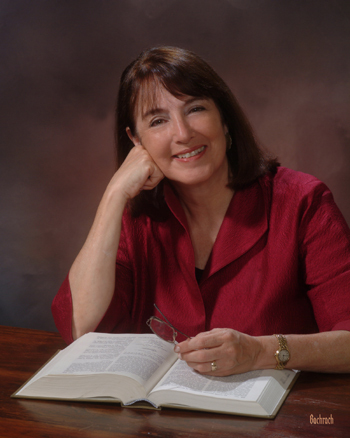 Drawing on her wide ranging experience in practice and as a judge, Gertner also consults and litigates in civil right cases (she is of counsel to Neufeld, Scheck & Brustin, a civil rights firm in New York City), white collar criminal case (she is of counsel to Fick and Marx, a white collar criminal defense firm in Boston), as well as in employment discrimination and false claims cases. Drawing on her judicial experience, Gertner engages in mediation and arbitration with Resolutions, LLC. (with Eric Green) and the Southeast Regional Mediation, Arbitration and Compliance Association (with Bill Nettles and Paul Zwier).